The powerhouse of the Swiss economy, Zurich, on the banks of the Limmat and the Sihl, is a charming city. Travellers can enjoy a swim in Lake Zurich or go for a ramble in the surrounding mountains. This city, with its very lively cultural scene, offers you enchanting visits to its museums and its old town centre. 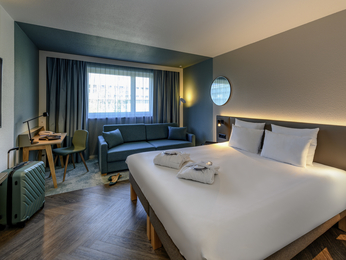 The Novotel hotels in Zurich welcome you for a change of scene combining comfort and modernity. 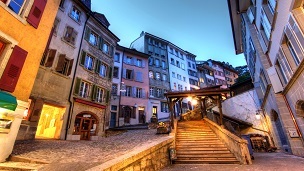 A stay in Zurich begins with a visit to the Altstadt, the old town, which can be easily explored on foot. You walk along the legendary Banhofstrasse, with its luxury shops and many banks. Then visit the Lindenhof and observe the old town from Linden Square – both take their names from the linden trees. The Schipfe district will charm you with its mediaeval alleys and colourful houses. There you will find the Fraumünster church with its glass windows by Marc Chagall and Giacometti. For going out, taking a drink or eating, go to the Niederdorf district, a pedestrian area replete with bars and restaurants. Grossmünster Cathedral overlooks this district. Nearby is the Fine Arts Museum, where you can discover a collection of art ranging from the religious to the contemporary. To discover the natural side of the city, take a boat to Werdinsel Island or the train to the top of the Uetliberg, the mountain that overlooks the lake and the city. 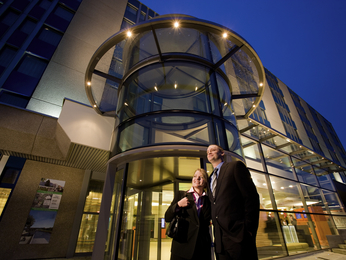 Two strategically Novotel hotels Novotel hotels welcome you to Zurich.